There were two things that happened to me. First, I went with my younger brother (who is 10 years younger) for his admission in school for 11th grade. As everyone knows me in my city, his principle asked me if he was my son. I was completely shocked. My wife told me to lose some weight and I was very lazy at that time. I started exercising for 1 week and then stopped. But the second that happened to me, I had completely changed myself. Last year during March, my wife and I planned a Singapore trip for my family. We were shopping in Delhi for our trip and went to the Levis store for jeans and some shirts. Surprisingly the guy said to me there were no clothes my size and I was stunned. I wanted to look young, have a good metabolism and feel fit. This encouraged me to start exercising and have control on my diet. Before starting any exercise or diet, I had my body composition tested in a nearby fitness center. My BMI was 30, fat was 25 kg, weight was 98 kgs, and my waist size was about 39″! After coming from Singapore, I promised my wife that I would lose some weight. 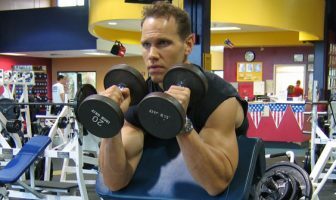 Before starting, I consulted with a dietitian and became the member of ShapeFit.com. At the beginning, my daily routine was to have glass of luke warm lime water with honey before going to exercise. During exercise I did 15 minutes of brisk walking on the treadmill, 15 minutes of stationary bicycle, 15 minutes of aerobics and 15 mins of weight training. 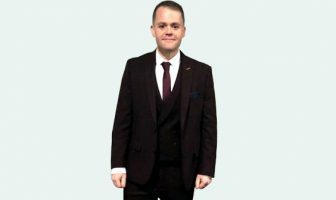 In one month, I lost 6 kgs and that inspired me a lot! While exercising, I started having pain in my back due to crunches and I was very depressed. 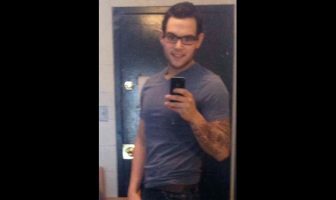 My wife supported me and while I was going through pages of ShapeFit.com, there was an article that fat is lost proportionally from the body. I learned I didn’t have to specifically do crunches to lose belly fat and I could stop doing crunches for a while to let my back heal. In one month I lost about 6 kg of weight. This motivated me very much! 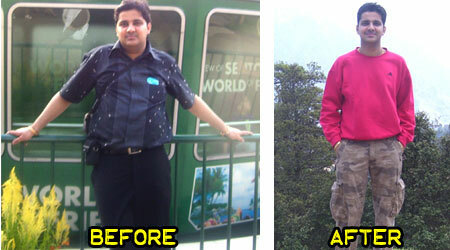 After nine months I lost about 28 kgs of weight and body composition was better. My waist was 32 inches, BMI was 21.6 and fat was 9.9 kg. This was awesome. I started looking 5-6 years younger then my age. The last 4-5 months my weight has been the same. For this I do 1 hour of exercise, 5-6 days a week. I also added yoga in my exercise routine plus I strictly follow my diet. My life changed a lot. I look 5-6 years younger and my lifestyle has completely changed. I can wear any kind clothes that I want and my concentration at work has increased. 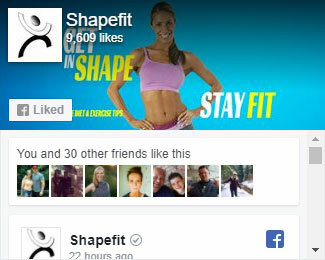 ShapeFit is just like a encyclopedia for me as it provides each and every aspect of fitness and nutrition. 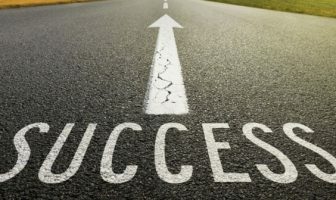 It helped me a lot in achieving my goals. Drink one glass of like warm lime water with honey before eating anything early in morning. Drink water 30 minutes after having a meal which will help in digesting food. Try adding yoga in your exercise plan as it will tone up your muscles. 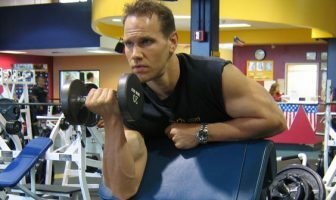 Add weight training to your exercise routine. Don’t give up your taste for food. Find out alternate ways of cooking. 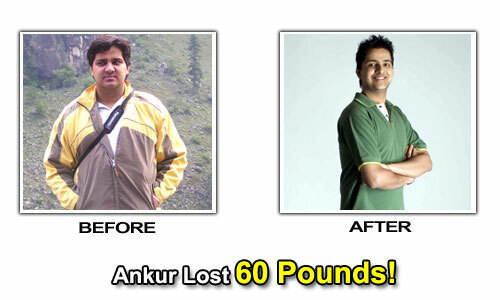 Ankur’s Weight Loss Eating Plan! 1 glass of skimmed milk, coffee with 2 slices of whole wheat bread and 2 egg whites scrambled. 1 small bowl of lentil with bowl of veggies, 1 bowl of curd with 2 rotis (Indian bread cooked on iron plate) with one plate of salad. 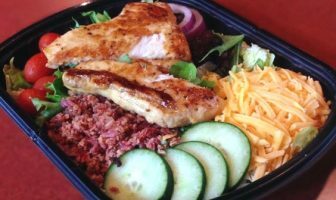 Same as lunch but I might have chicken or fish instead of lentil and veggies. In the evening I have a mixture of oats, wheat bran, some raisins, walnuts and almonds cooked in milk (like porridge) and a plate of apple, papaya and cucumber. Sometimes I have tandoori chicken or boiled egg whites. 1 day I do chest, triceps and back exercises. Rest 1 day, then do shoulders with biceps on the 3rd day. 10 minutes of treadmill at a speed of 7 km/hr, 10 minutes of stationary bicycle with 40 minutes of yoga.